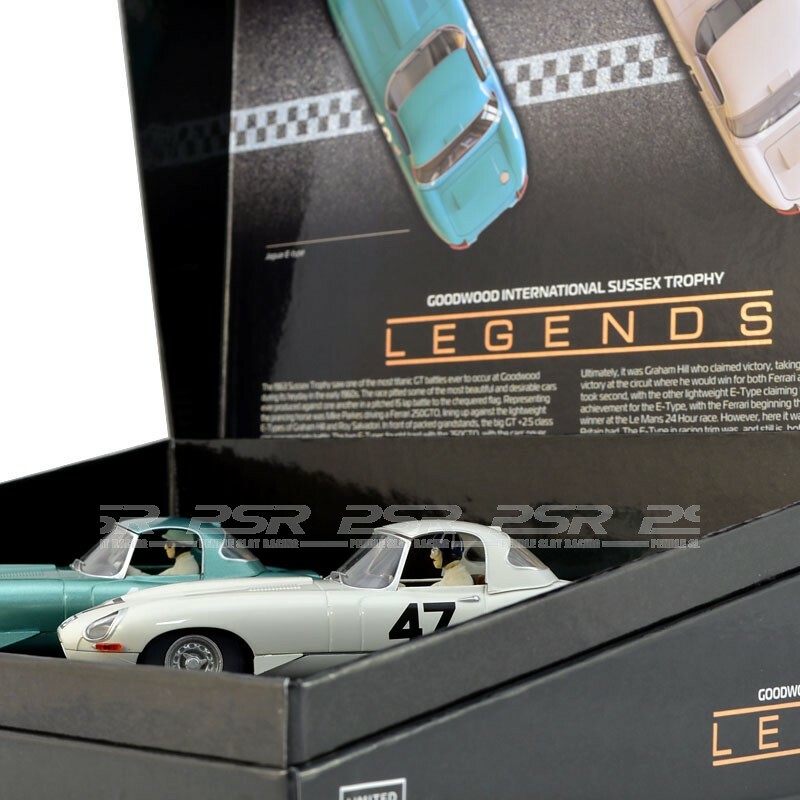 The Goodwood International Sussex Trophy 1966 saw one of the most iconic titanic GT battles ever to occur at Goodwood during its heyday in the early 1960s. 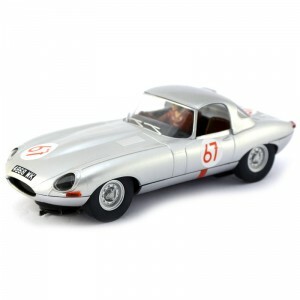 Scalextric Legends Jaguar E-type 1963 Goodwood International Trophy. 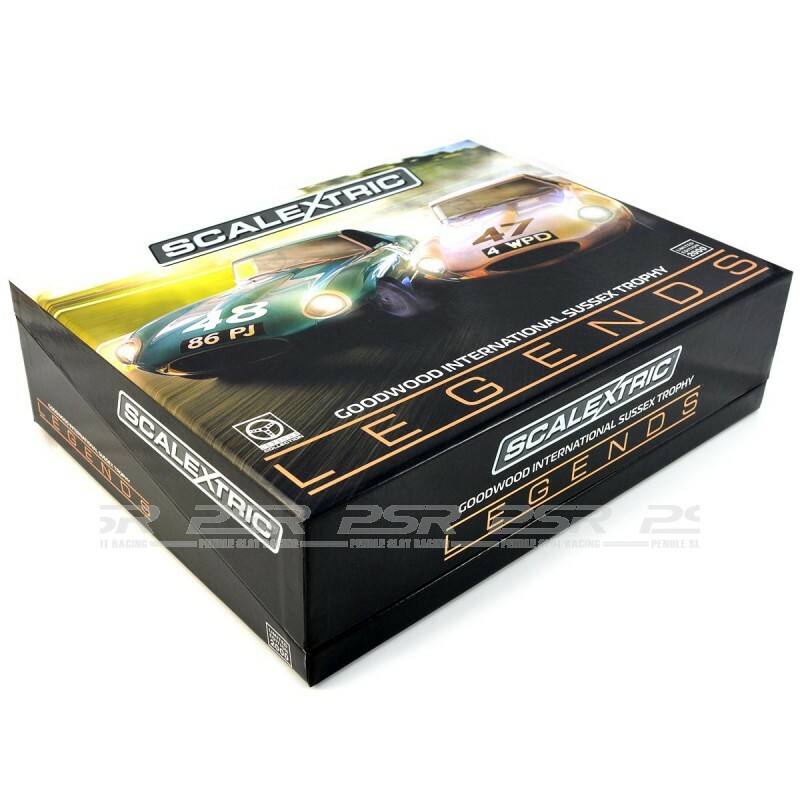 Numbered limited edition of 2000 special collectors pack containing two cars. 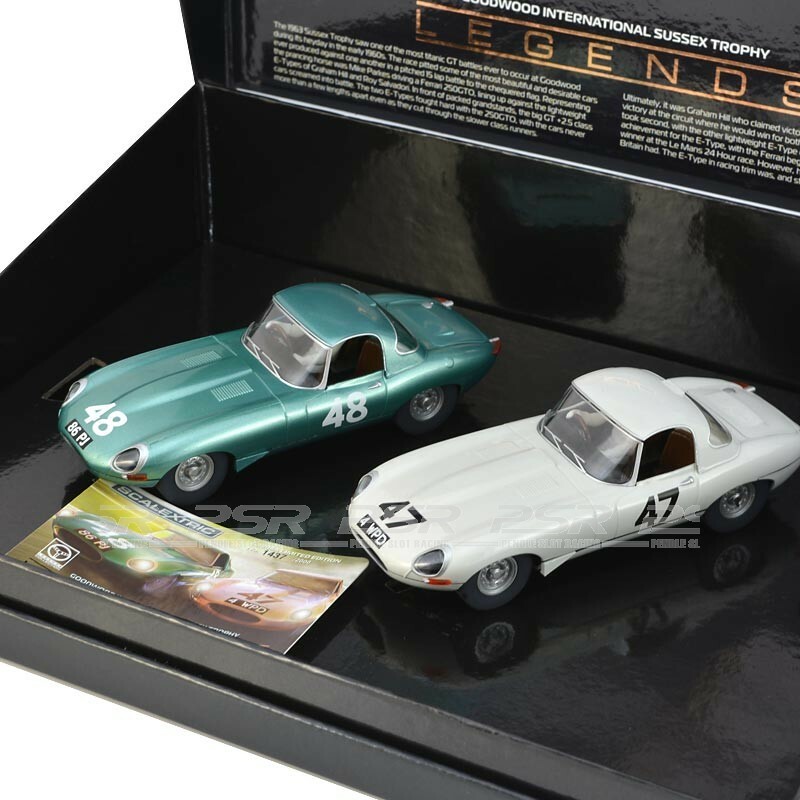 The 1963 Sussex Trophy saw one of the most iconic titanic GT battles ever to occur at Goodwood during its heyday in the early 1960s. 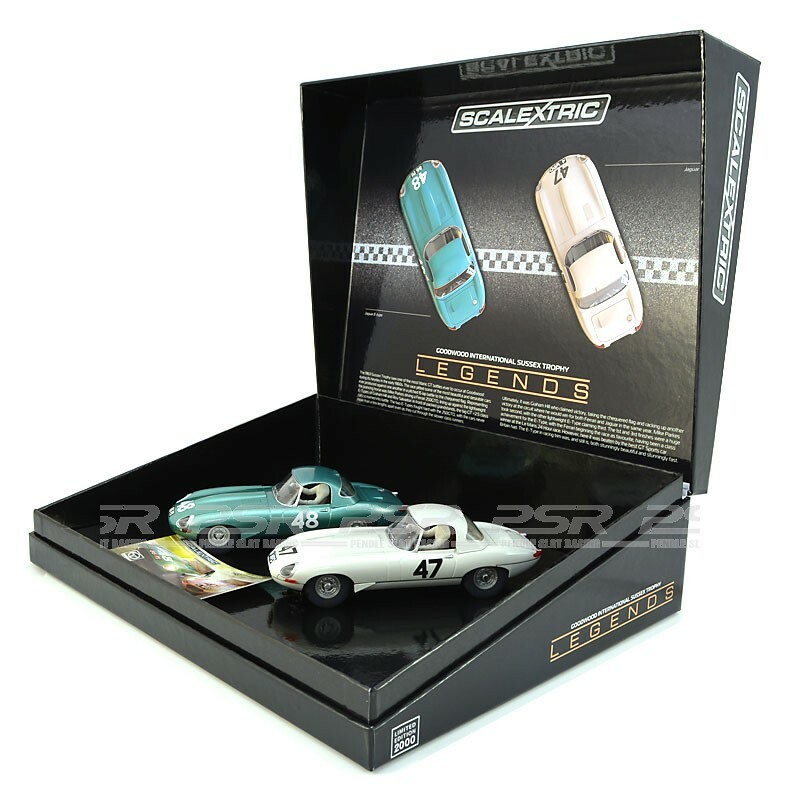 The race pitted some of the most beautiful and desirable cars ever produced against one another in a pitched 15 lap battle to the chequered flag. Representing the prancing horse was Mike Parkes driving a Ferrari 250GTO, lining up against the lightweight E-Types of Graham Hill and Roy Salvadori. 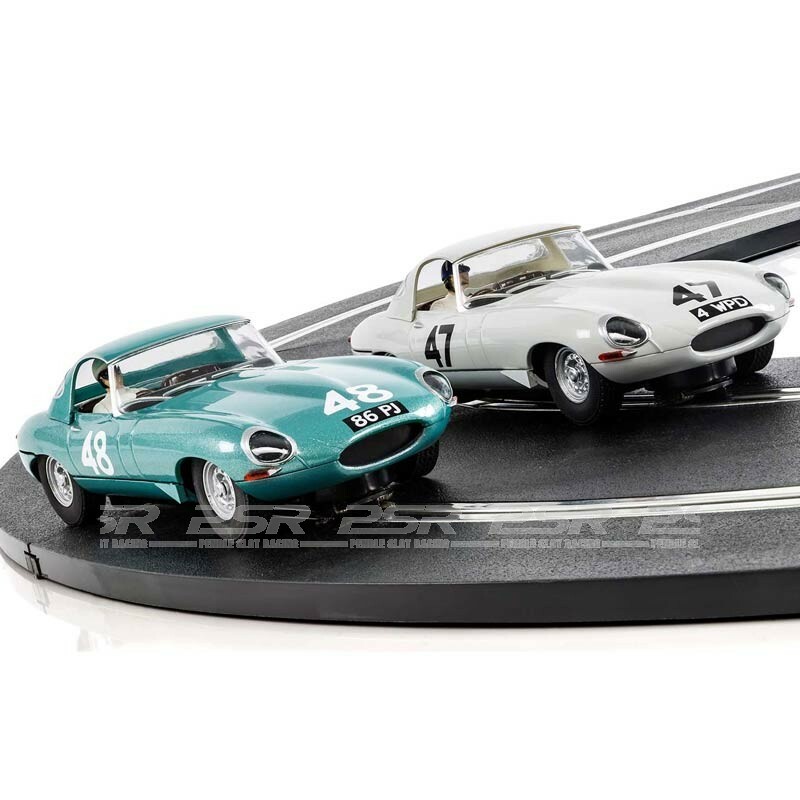 In front of packed grandstands, the big GT +2.5 class cars screamed into battle. 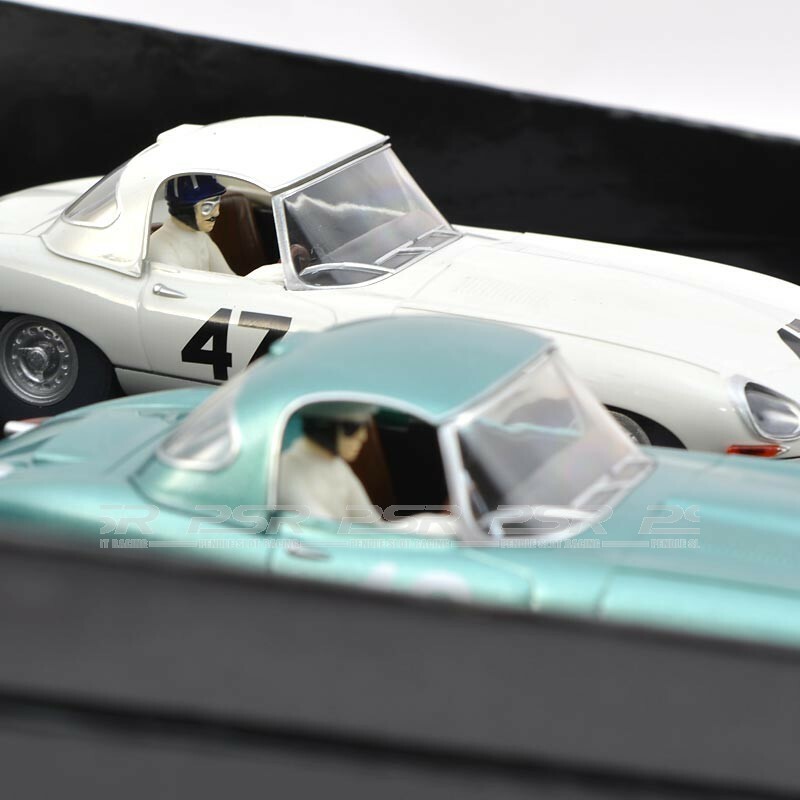 The two E-Types fought hard with the 250 GTO, with the cars never more than a few lengths apart even as they cut through the slower class runners. 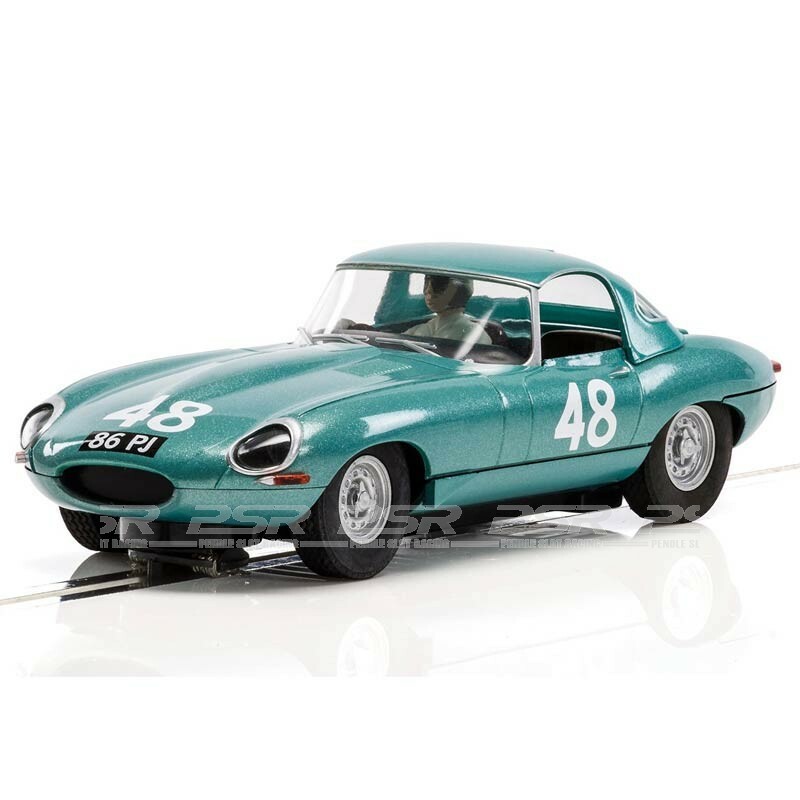 Ultimately, it was Graham Hill who claimed victory, taking the chequered flag and racking up another victory at the circuit where he would win for both Ferrari and Jaguar in the same year. 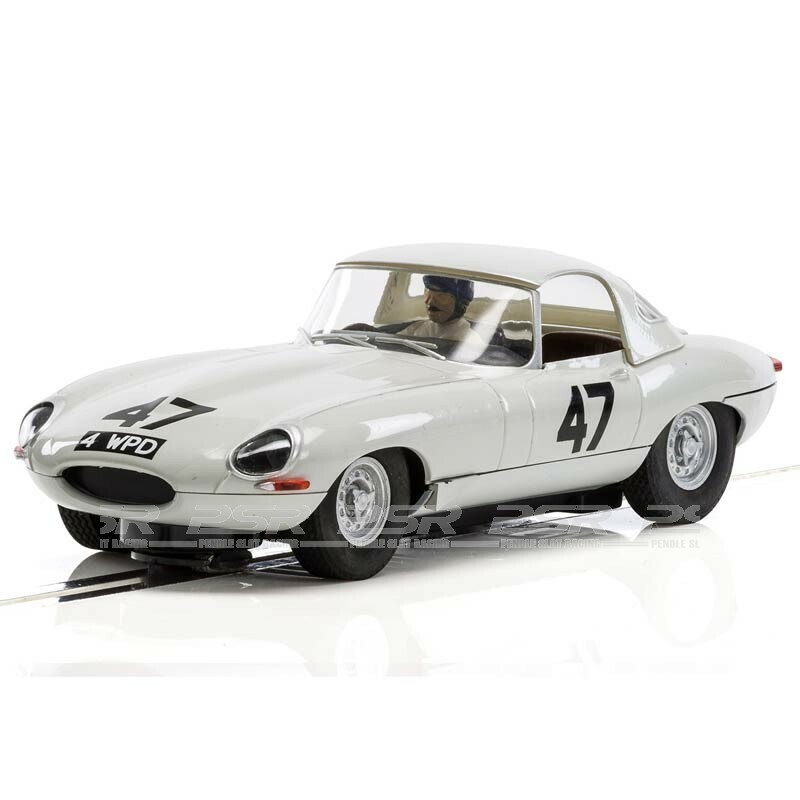 Mike Parkes took second, with the other lightweight E-Type claiming third. 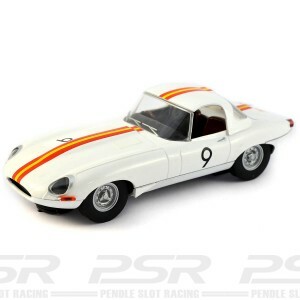 The 1st and 3rd finishes were a huge achievement for the E-Type, with the Ferrari beginning the races as favourite, having been a class winner at the Le Mans 24 Hour race. 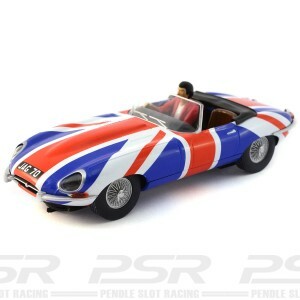 However, here it was beaten by the best GT Sports car Britain had. The E-Type in racing trim was, and still is, both stunningly beautiful and stunningly fast. 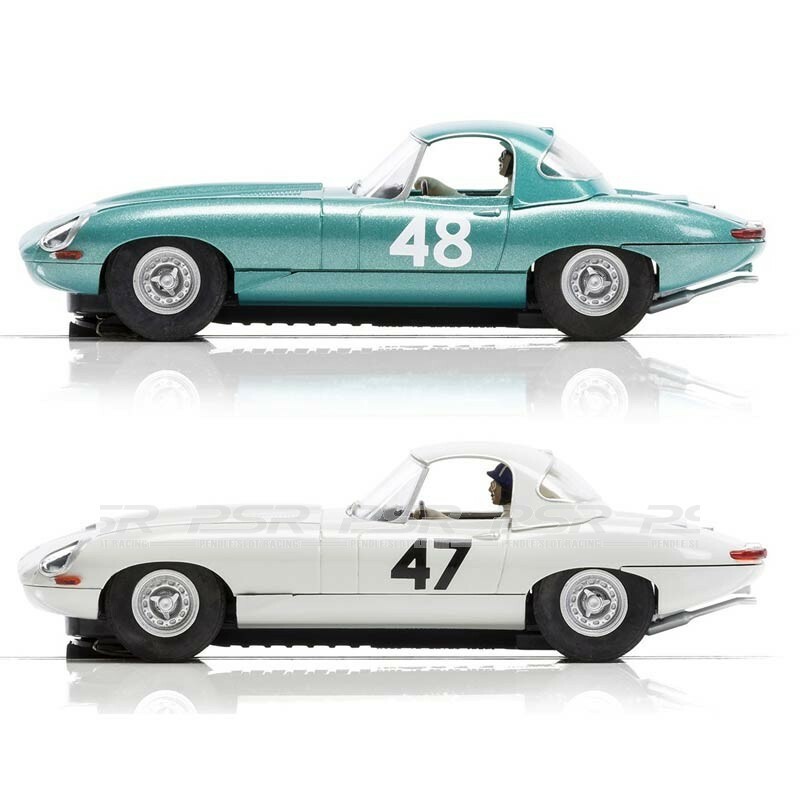 The two Jaguar E-type 1/32 cars come in a beautifully made presentation box.